Experience the Choir for yourself. Come make music with the Lafayette Choir! Learn how you can become a part of these great choirs next school year. 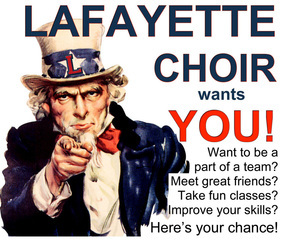 Each January, the Lafayette Choir hosts a workshop and performance event for interested students to try choir. Students will get the opportunity to work with the directors, get to know other choir students, learn more about what awaits them, and learn more about the audition process in the Spring. Open to current 7th-12th graders. Students need not prepare anything prior to coming to the Invitational. We will teach you all you need for the performance that evening. This is a must-do event for those preparing to join the choirs. Even if you are not in the Lafayette district, all are welcome. 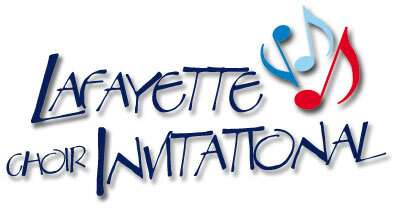 Students will perform with the Lafayette Choirs and hear short performances by the Lafayette Chorale, and Madrigals.